As summer is in full swing a lot of home DIY'ers are in the process of replacing their decks. This home owner noticed some large black ants walking around on their old deck for years and never thought too much about it. I mean, who doesn't have ants on their deck? While removing their old deck they noticed piles of sawdust (frass) coming from where the deck attached to the house. 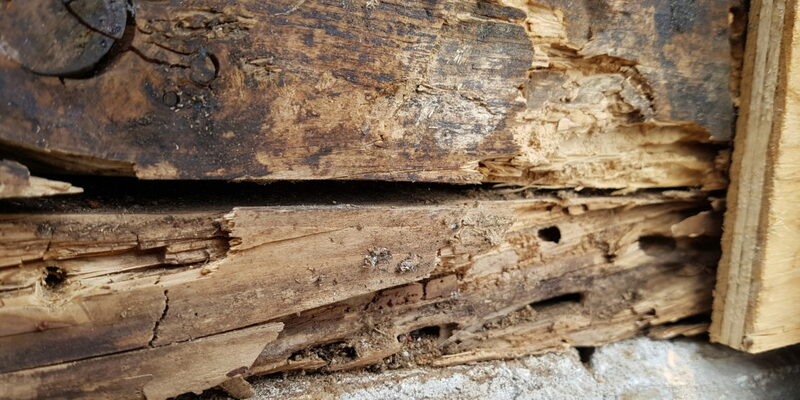 Once they removed the sill plate, it exposed where those pesky carpenter ants have been living. It also explained why they were seeing ants in their house along the exterior wall. 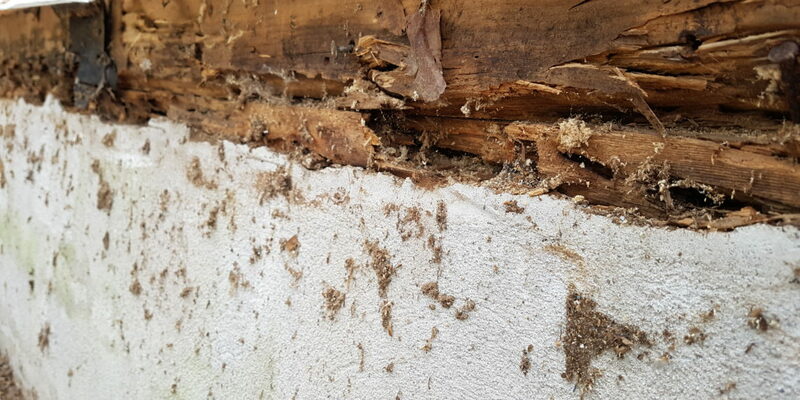 The home owners called me immediately and I was able to eliminate the colony and provide an exterior preventative treatment to make sure no new carpenter ants re-infest.